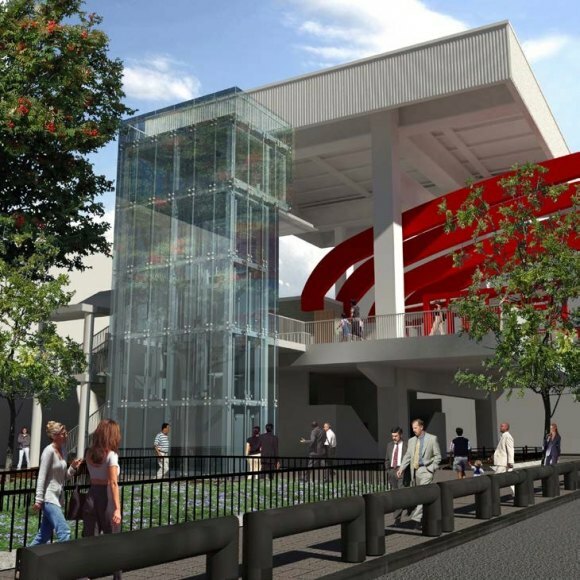 On Wednesday, May 16th, RIOC announced, the "$6.1 million construction project to upgrade the Manhattan Tram Station elevator started this week and the two building phases will be finished by next Spring." 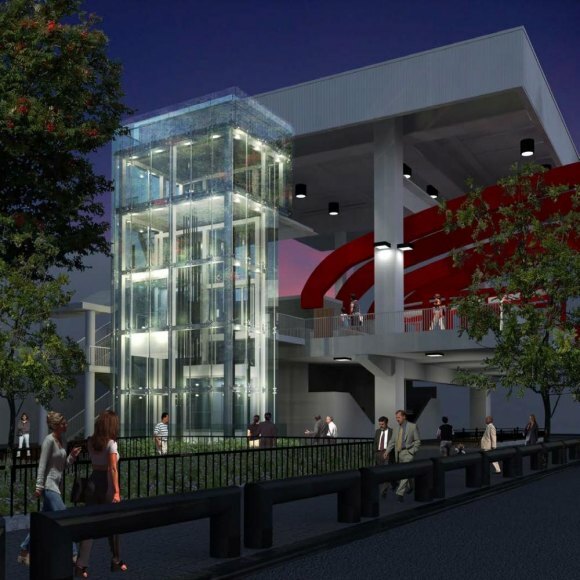 "The design calls for an iconic, two-bank, ADA-compliant glass elevator which replaces the existing elevator that has outlasted its expected mechanical life," said Public Information Officer Alonza Robertson in a press release. Through many fits and starts and resident frustration over breakdowns, the Tram situation has plagued RIOC for years. The State agency has blamed reluctance from bidders who shy away from smaller projects, and two years ago, when they overcame that obstacle, the winning bidder declared bankruptcy before getting started. RIOC now feels confident they've found the right company and that the work will be done well and on time. "The construction contract was awarded in December 2017 to Sea Crest Construction Corporation, a subsidiary of Scalamandre Construction, Inc., both based in Long Island, New York. Both companies have decades of public works project experience building transit plazas, industrial plants, roads, bridges and airport terminals across the New York metropolitan area," Robertson continued. Infrastructure improvements, like the Tram Elevator Project, have been a keynote of President/CEO Susan Rosenthal's direction since taking over the reins at RIOC, two years ago. Initiatives for repair of our long neglected seawall, even longer neglected Roosevelt island Bridge helix and even longer neglected Blackwell House are already underway under her leadership. The project will be completed in two phases, according to the press release. The first of the two glass elevator banks will be built and the existing old elevator will be dismantled. Then, the second glass elevator bank will be constructed so that there will always be a working elevator. As a side note, he added, "The fencing will not encroach or restrict access to the surrounding sidewalks or station entryway. During the steel erection work, an overhead sidewalk shed will be installed. The park area around the Tram station will be closed and several planter beds will be temporarily relocated." Completion is expected by Spring, 2019.